If you are looking for a non-invasive option for fat reduction in problem areas, our CoolSculpting technology in Charlotte, NC may be just what you’ve been waiting for. Everyone wants to look and feel their best. But sometimes no matter how much energy you put into exercise and a healthy diet, sometimes you just can’t reduce the problem areas on your body. The fat in muffin tops, love handles, and the little pooch on your lower abdomen are called “stubborn fat” for a reason: no matter what you seem to do, it’s very hard to reduce! If you are looking for a non-invasive option for fat reduction in problem areas, CoolSculpting technology may be just what you’ve been waiting for. Using an innovative cooling procedure that is FDA-cleared, CoolSculpting technology freezes unwanted fat cells underneath your skin without damaging the skin itself. The frozen fat cells crystallize and die, and they are then naturally processed by your body and reduced, leaving a more sculpted area. The procedure can be completed in an hour. At Cool Renewal Spa in Charlotte, NC, we deal exclusively in CoolSculpting. We are also able to perform Dual Sculpting, which can cut your treatment times in half. One of the benefits of CoolSculpting is that you won’t have any downtime after treatment, which certainly isn’t the case with more invasive procedures. Liposuction can keep you off your feet for weeks, and bruising can last for months. With CoolSculpting technology, you can resume your regular activities directly after treatment with no bruising or scarring. Our CoolSculpting technology is the perfect option if you don’t have the money or downtime to commit to plastic surgery. Don’t live with your stubborn fat areas. 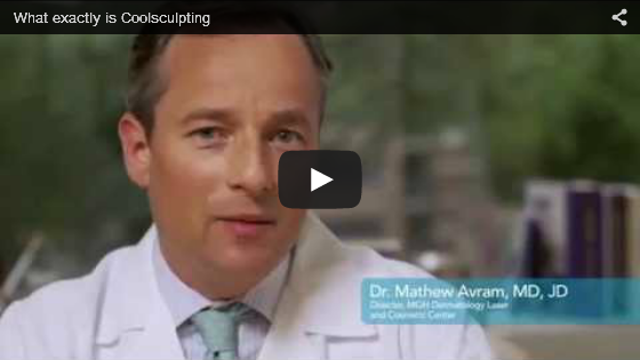 Come in for a consultation and see how CoolSculpting technology can give you a better-looking body! At Cool Renewal Spa, we offer the CoolSculpting technology to residents of Charlotte, Hickory, Lake Norman, Rock Hill, Mooresville, Cornelius, Huntersville, Pineville, Matthews, and the rest of North Carolina.